The vandalism of a World War II memorial in South Boston hits especially close to home for the family of one of monument's creators. World War II veteran John Mullen, who helped to build the memorial in South Boston, died Monday, the same day its defacement was discovered. "He absolutely loved everything about here," said his granddaughter, Kellie Mullen. "He had his own pew at St. Augustine's church for 45 years." John Mullen was a member of the VFW over on 4th Street and had more connections than contacts in most phones. He was 17 when he fought in World War II in Okinawa. It's a war he wouldn't talk about when he got home, but he wanted it to be remembered. "I know until the moment he passed, he was so proud, and I was so grateful that he didn't see what happened," said Christine Mullen, his daughter-in-law. "I don't know what that would have did to him." John was 92-year-old when he died on Monday. 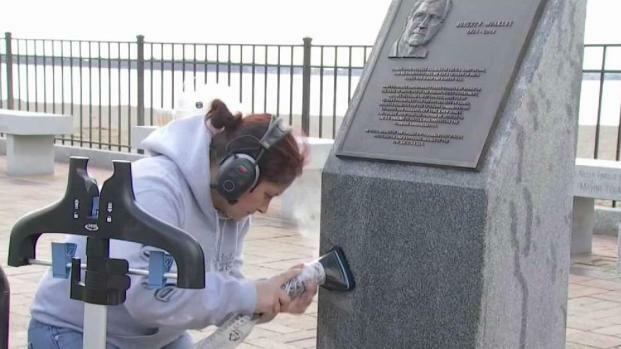 It was the same day the memorial he helped build was found stained with oil. "He got the plans together, he motivated people, he got the financing," said Tom McCarthy, commander of the VFW in South Boston. He was loyal to his hometown and the men who died protecting it. 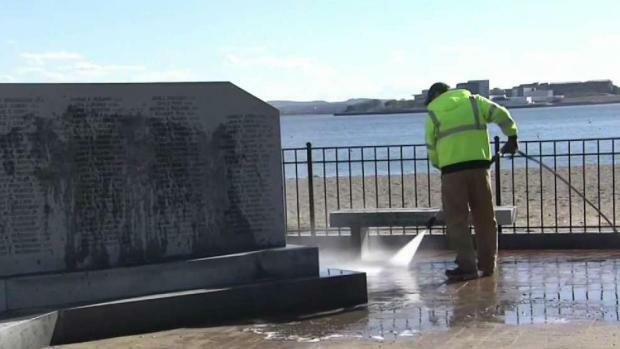 Massachusetts State Police say while the search continues for a vandal who defaced a World War II memorial over the weekend in South Boston, cleanup of the oily substance remains difficult. 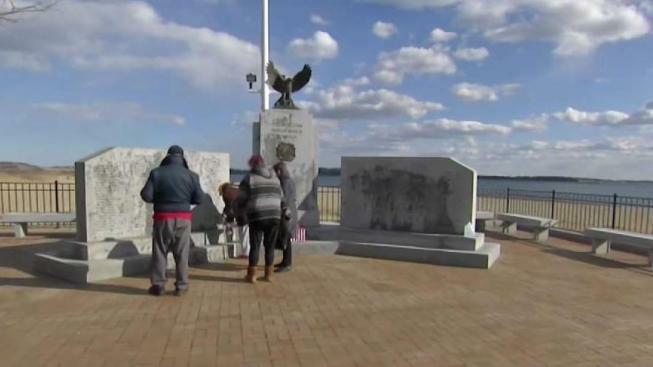 "He was adamant and another gentleman, Joe Murphy, wanted the names of everybody that was killed from South Boston on that memorial," said Lewis Kneeland, a member of the VFW . "They fought and did a lot of research and got the names and it was done." The American flag is at half staff to honor John Mullen, who died before he could see this stain on history. "I think the timing couldn't be better, cause I think it would have broke his heart," said Kellie Mullen. "It would have killed him." They have tried to clean up the mess, but it does not appear anything is working. Police are investigating to determine when exactly the vandalism took place. Anyone with information on the incident is encouraged to call state police at 617-740-7710.